One of the main reasons why people stay in bed and snooze their alarms so many times is because their bodies don’t feel fully rested. If you wake up in the afternoon and still feel exhausted throughout the day, then it’s time to change your sleeping habits. 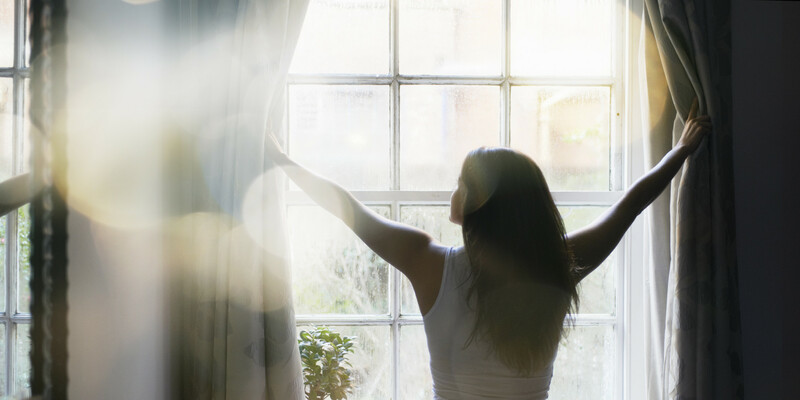 Waking up earlier can make you feel more productive and may also inspire you to start new projects with the extra time you’ll have. 2.) News Plans, New Me! Excitement is a great motivational strategy to get you up and moving. This can also work for waking up earlier. Before you go to sleep, write down a list of things you want to accomplish the next day and add something new for you to do or try. Once you have your list, challenge yourself to get them done in a set time frame. You can leverage the extra time you’ll have from waking up earlier to complete these tasks with no rush, which reduces stress. By doing or trying something new that interests you, you’ll be able to take care of your body and mind. Procrastination is the enemy of discipline, and in order to have one, the other must go! With that being said, start off by setting your alarm to your ideal wake up time. You don’t want to gradually do this, because your body will start adjusting to the alarm faster the more you do it. Gradually will just take a longer and slower process to reaching your goal, so let’s start off strong! Say goodbye to the snooze button, at least after the first snooze. Allowing your body the time to wake up is completely fine and suggested. However, only allow yourself the chance to snooze once and let the second alarm be the time to actually get up and out of bed. If you haven’t realized it already, your body takes approximately five minutes at minimum to fall back asleep after being woken up. So you have repeatedly made the choice to sleep in longer, which is bad if you’ve ever been late to any obligations you had. Waking up earlier isn’t going to be as easy as reading this article, but it will be worth it. Many CEOs start off their mornings in the crazy hours of 4 to 6:00 a.m., so you could always try ending your bad habit by putting yourself in the mindset of a CEO!